Prison Break? Orange Is The New Black? 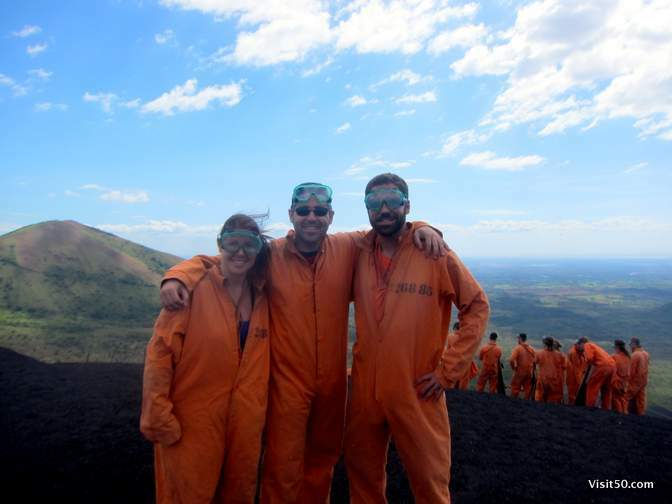 Nope – we’re on the top of a volcano, about to sled down as fast as we can. Volcano Boarding!